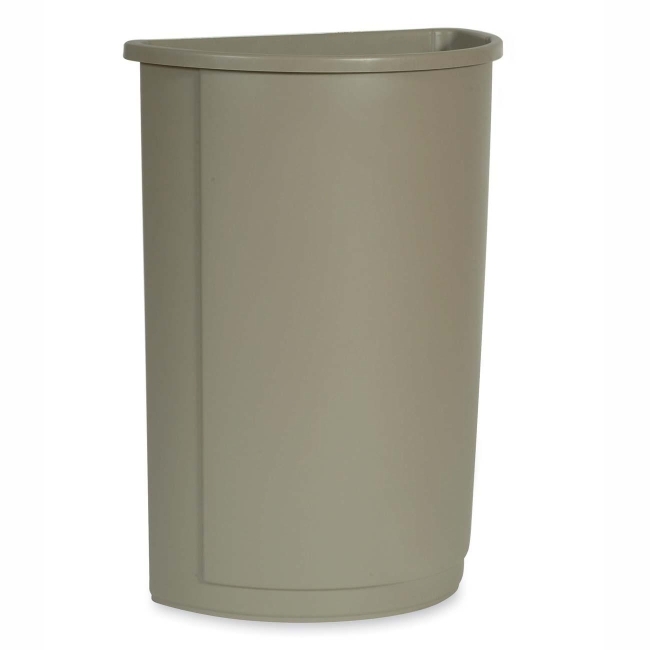 Heavy-duty wastebasket provides large capacity in minimum space in an efficient way. Half-round design allows you the convenience of putting a receptacle in a tight spot. Rustproof. Easy to clean. Counterbalanced to close by itself. Meet the sanitary needs of restaurants, snack areas and restrooms. 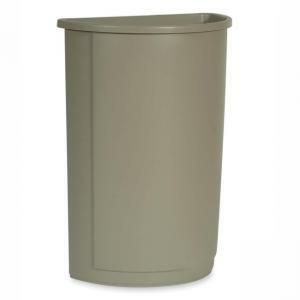 Untouchable swing top is half round to fit both half-round wastebaskets.